Book more, save more! Take advantage of our Season Ticket package, offering up to 20% off ticket prices. Prices for the whole season start from just £64.40. More information. You can select a fixed package - choose from Mon-Thurs & Matinees or Fri & Sat nights and select the same seating area for each show. Create your very own bespoke season ticket - come whenever you want (evening or weekend) and sit wherever you like (price band differences will apply). All performance dates must be selected at point of purchase. We offer free ticket exchange if you want to change dates (subject to availability). For assistance, call Box Office on 0161 833 9833 or email box.office@royalexchange.co.uk. This season ticket covers all performance times and dates except the Previews & Press Nights. Prices range from £64.40 - £138 per person. BARBER SHOP CHRONICLES, WEST SIDE STORY, HOBSON'S CHOICE and THERE IS A LIGHT THAT NEVER GOES OUT: SCENES FROM THE LUDDITE REBELLION.  View the Royal Exchange Theatre seating map.